#257. Mount Rainier. 17.5 x 29.5, oil on canvas. "Gilbert Munger" lower left. From James Terry Gardner, member of Clarence King's Geological Exploration of the 40th Parallel with Munger, through the family to the current owner. 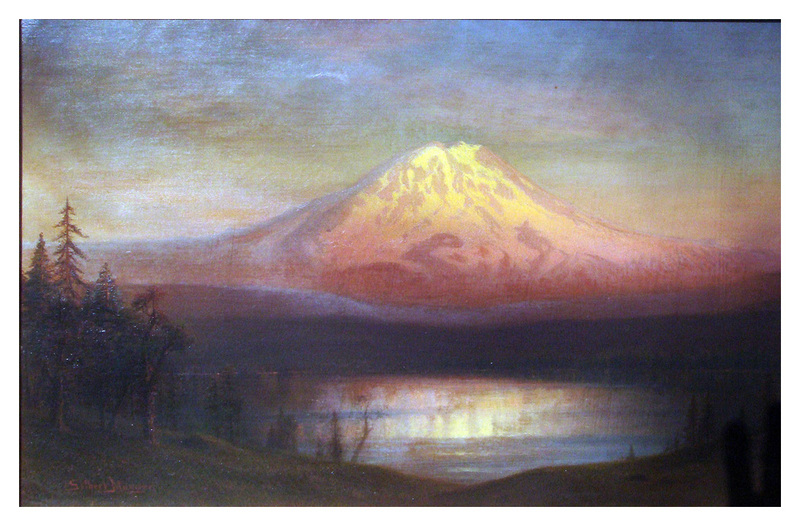 The view is from the same direction as painting #67, showing the west side of the mountain with Puget Sound in the foreground. 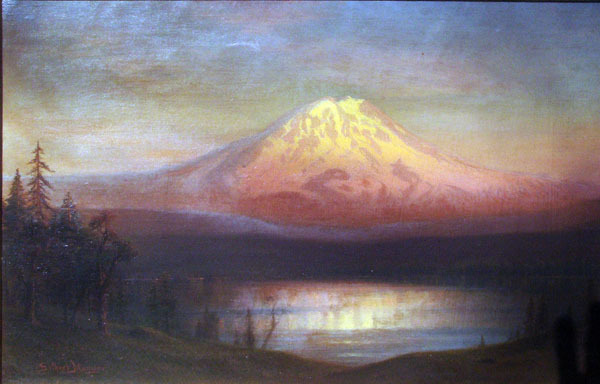 The historical record tells us that Munger was in the Pacific Northwest in the fall of 1870 Image from owner's photograph.